Dr. Katherine McMichaels: Don't you understand? This is the greatest discovery since van Leeuwenhoek first looked through a microscope and saw an amoeba! Buford 'Bubba' Brownlee: Yeah, but he wasn't down there *with* the amoebas! 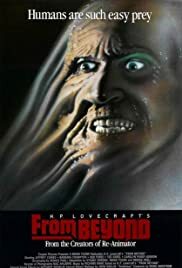 Its been a while since I saw this, but I fondly remember it as being one of the wildest and most entertaining horror films of the 80s. I liked it even more than Re-Animator, partly because there is something more intriguing about parallel dimensions and the connection to schizophrenia, than Re-Animators simple (though still entertaining ) "dead come back to life"-scenario. Some of the outlandish effects seem to be influenced by Dali, bodies in a constant state transformation and re-evaluation. 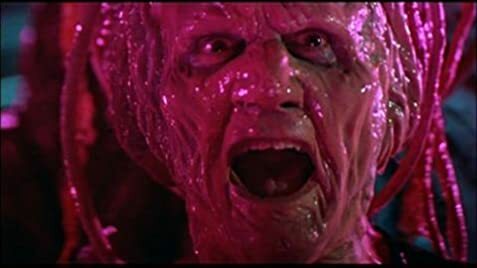 It is mind-boggling that it is still so hard to get a hold of on DVD, I only watched a British VHS copy years ago which had some cuts and I still long to see the original unrated version. The score, by Richard Band, is also impressively aggressive and atmospheric. Would somebody please just release it on DVD! They just don't make them like this anymore.